What is the Junior ISA and how will it work ? The Junior ISA is the new government scheme designed to help parents save and invest on behalf of their children. It will be available from 1st November and is, in part, a replacement for the child trust fund which was scrapped by the coalition government soon after they came into office. What are the basics of the Junior ISA? Parents will be able to save up to £3,600 a year into their child’s Junior ISA up until their eighteenth birthday. At eighteen children will be able to do as they please with the money in their ISA, whether they transfer it into a regular ISA or use the money. There is the potential to save up to £64,800 over a child’s childhood, and interest will be accumulated on top of this. So, in short, parents will be able to make significant investments on behalf of their children’s future, and it has the potential to return over £100,000 by the time they have access to their account. Is it just for the rich? Some have criticised the scheme for only being for the wealthy, as most are unable to invest close to the £3,600 limit each year. The reality, though, is that parents can invest as little as they like, and a lot less than £3,600 could still make a significant difference. For example, a £10 investment every month would lead to over £2,000 over an eighteen year period, and that is before interest is taken into consideration. This means that it has benefits to all parents, however much they are able to invest. The main benefit is the tax savings. Just as with a regular ISA, no tax is paid on any interest or capital gains, making it more attractive than other investment products. What are the types of Junior ISA? There are two kinds of Junior ISA, a cash ISA and a stocks and shares ISA. 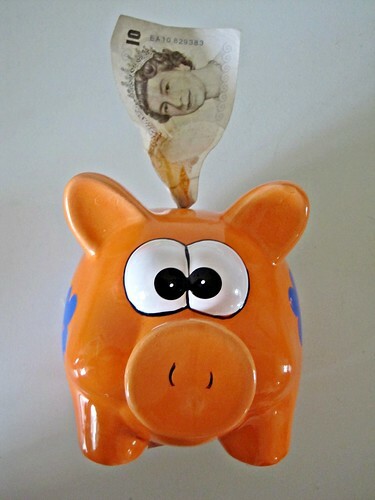 A cash ISA is more like a regular savings account, with little risk but less potential rewards. With a stocks and shares ISA the fund is invested into the stocks and shares of companies. There is, therefore, more risk attached but the rewards are likely to be higher. In the majority of cases a stocks and shares ISA will be more beneficial in the long-term than a cash ISA, especially if using an investment company that spreads the risk by investing in many different companies. The Junior ISA is a good option for parents who wish to save for their children’s future. For those who can invest the full £3,600 a year the total fund has the potential to rise to over £100,000 over eighteen years. Even for those who can only invest a fraction of this, though, it is still an effective way of saving for their children.